Multimedia picture "Wildflowers". 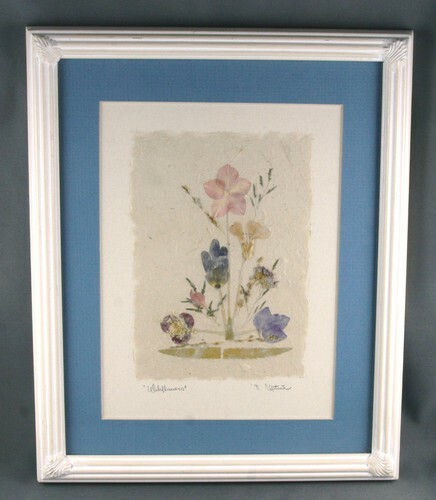 Pressed wildflowers in pinks and blues. Blue mat and white painted wood frame. View is about 5 1/2 inches by 7 1/2 inches. Overall measures about 9 inches by 11 inches.